This paper addresses the finite-time asymmetric bipartite consensus problem for multi-agent systems (MAS) associated with signed graphs. Different from bipartite consensus in the previous literatures, asymmetric bipartite consensus means that the states of all agents will converge to two values with different signs and modulus. Two distinct nonlinear consensus control protocols are constructed for the considered system to achieve the finite-time asymmetric bipartite consensus and the fixed-time asymmetric bipartite consensus, respectively. Under the first proposed protocol, it is shown that within a finite time, the considered system can realize asymmetric bipartite consensus. To strengthen the obtained result, the second protocol is proposed, which guarantees that all agents could achieve the asymmetric bipartite consensus in fixed time, that is, the finite-time consensus can be reached before a settling time which is irrelevant with the initial states of the agents. 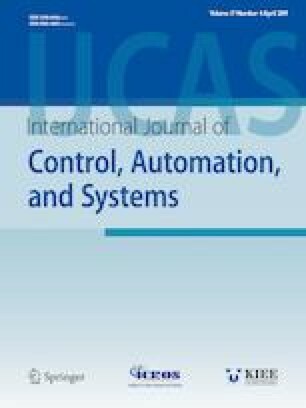 Finally, numerical simulations are given to verify effectiveness of the proposed consensus control protocols. Recommended by Associate Editor Jun Cheng under the direction of Editor Fuchun Sun. This work was supported by the National Key R&D Program of China under Grant 2018YFB1003800, the National Natural Science Foundation of China under Grant 61673110, 61573102 and 61833005, the Natural Science Foundation of Jiangsu Province of China under Grant BK20170019, the Jiangsu Provincial Key Laboratory of Networked Collective Intelligence under Grant BM2017002, and the Graduate Research and Innovation Program of Jiangsu Province KYCX18_0164. Xing Guo received his M.Sc. degree in applied mathematics from School of Mathematics, Southeast University, Nanjing, China, in 2017, where he is currently pursuing a Ph.D. degree from School of Information Science and Engineering. His research interests include distributed control and networked secure control of multiagent systems. Jinling Liang received her Ph.D. degree in applied mathematics from Southeast University, Nanjing, China, in 2006. She is currently a professor in the School of Mathematics, Southeast University. Dr. Liang has published around 80 papers in refereed international journals. Her research interests include 2-D systems, complex networks, and bioinformatics. Jianquan Lu received his Ph.D. degree from City University of Hong Kong, Hong Kong, in 2009. He is currently a professor at the School of Mathematics, Southeast University, Nanjing, China. His research interests include complex dynamical networks, multi-agent systems, and Boolean networks. He has published over 90 papers in refereed international journals.